The fall means pine cones and pine cones mean fall crafts. Check out this awesome list of 18 gorgeous pine cone crafts. Tis the season when pine cones are falling and covering my lawn and I couldn’t be more thrilled. Pine cones are wonderful for making fall and winter crafts and decorations. If you love nature crafts like I do, you will love this adorable collection of pine cone crafts. There are a bunch of great ideas to inspire you, so gather up those pine cones and get crafting. Salt dough and nature items are our favorites materials to create with hands down. I don’t know what is more fun, gathering the nature or pressing it into the dough and seeing what new and exciting things that you can come up with. There are so many amazing possibilities. We have made nature islands with branches and leaves and pine cone creatures with pipe cleaners. And do you remember when we made those adorable fairies with acorns, sticks and clay? Well those little fairies needed a home and we couldn’t wait to make them one. These sweet pine cone fairy houses are simple and enchanting. My obsession with fall trees continues. I’m obsessed! I admit it. I just can’t help myself. They are just so beautiful. Last winter, we made lovely snow-covered trees and Christmas trees out of pine cones, so we thought why not try this with fall trees as well. We just so happened to have a large bag of assorted pine cones kicking around and have been waiting for a reason to use them. Nature and recyclables combine to make this colorful pine cone fall tree. We made some beautiful winter crafts last year with clay and nature. We loved them so much, that we wanted to try something similar again for the fall. I am glad that we did. These fall tree mosaics came out just lovely and are perfect the upcoming season. It is amazing the beautiful things that you can create with nature materials. Whether you are painting nature items or leaving them natural in your crafts, the results are amazing. We love using leaves in our crafts. There is a wonderful variety of shapes and sizes to choose from, so your possibilities are endless. Peacocks are a favorite of ours, so it was only a matter of time that we made a nature peacock. This easy leaf peacock is gorgeous and includes a free printable template for your convenience. Printmaking and stamping projects are a favorite in our home. These processes are both fascinating and fun and they are great for the young and the old. Simply enjoy watching the shapes, lines and textures transfer onto paper or turn your prints and stamps into animals, flowers or a unique piece of art. Look around your house and outdoors for inspiration and printing materials. Experimenting and exploring different textures and surfaces is fun. Here are a few wonderful printing and stamping ideas to get you started. CD cases are perfect for making and showcasing artwork. Just a few days ago, we experimented with printmaking using CDs. It was a wonderful activity that both my daughter and I enjoyed. The paint on our prints had not even finished drying yet, before my daughter was asking what we could do with the CD cases. Since CD cases make wonderful frames with their clear plastic covers, we played around with different CD case artwork to showcase. Here were our favorites. If you heart nature and nature crafts like we do, you will surely love these gorgeous nature hearts. My daughter and I love the outdoors. Being outside is therapy for the mind and for the body. Nothing brings me greater joy than watching my little girl running, playing and splashing outside. There is one thing that we love almost as much as being out in the nature and that is making nature crafts. In fact, we cannot go on a hike or walk without my daughter gathering rocks or acorns or pine cones for arts and craft projects. She has nature collections scattered everywhere. What better way for us to show our love for nature than with these beautiful nature hearts? 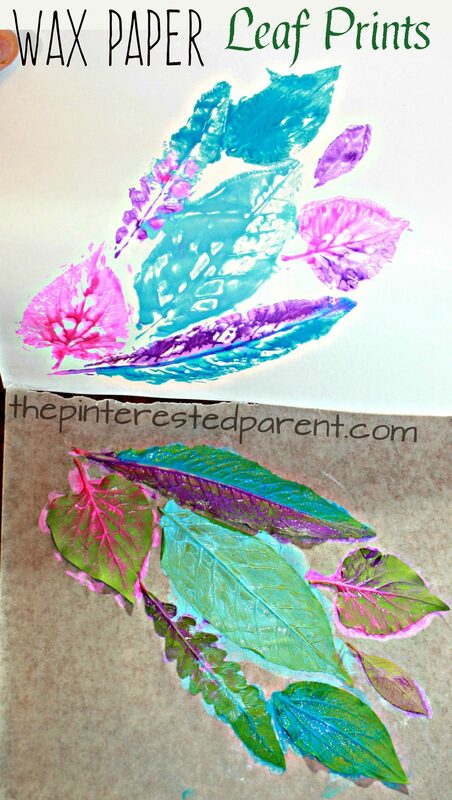 These wax paper leaf prints combine two things that we love, nature and printmaking. Leaves are fantastic for printmaking. There are so many shapes and sizes to choose from and the veins in the leaves create such lovely lines. We are lucky enough to live in a wooded area, surrounded by such beautiful nature. We have unlimited art inspiration and free craft materials at our fingertips. My daughter and I walked around our yard and gathered different sizes and shapes of leaves for our printmaking project. We looked for interesting shapes with more prominent veins, as they make the best prints. Once we gathered all of our supplies, we were ready to make our wax paper leaf prints. Here’s how. These spring dandelions sure do make dandy little lions. The spring has sprung and so have all of the dandelions. If your yard is anything like mine, it is covered in them. My daughter loves to pick them. She weeds our yard all the time and doesn’t even realize it. She picked me a bunch the other day and we started talking about how dandelion sounds like dandy lion. My daughter cleverly pointed out to me that the dandelion looked like a lion’s mane. That is what inspired this simple “dandy lions” nature craft.